Listen to the whole thing at Power Records. I thought it was fun. 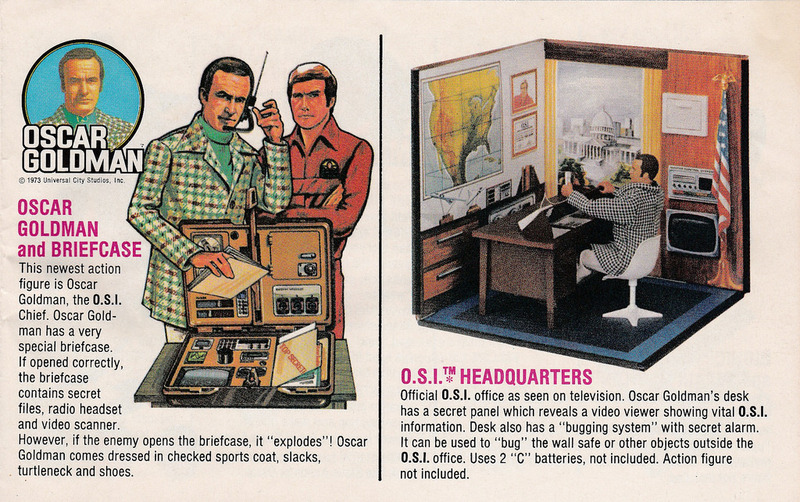 That’s Mattel’s Cathy Quick Curl Doll on the right. 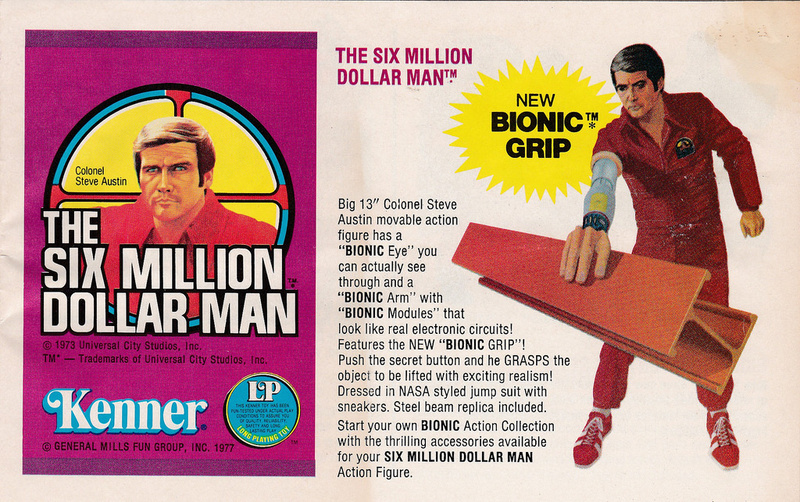 Mikey Walters has a number of Kenner’s Six Million Dollar Man and Bionic Woman catalogs, boxes, and instruction manuals on display here. Regular readers will know by now the legend of Mikey Walters. 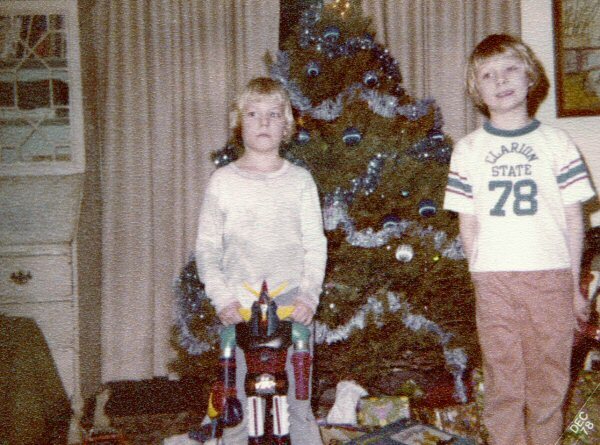 D&D module designer, video game programmer, filmmaker, and compelling interview subject, Mikey has recently unearthed some jaw-dropping home video of several Christmas mornings in the 1970s. See Mikey caress the Death Star! See Mikey fire the Laser Rifle! See Mikey apply decals to the Tie Fighter, play Electroman with his awesome Dad (“Hi, Mom!”), test the crank of the Star Bird Command Base, from which he launches his Star Bird Avenger into the stars! It’s a video prelude to the photo I posted of Mikey last year. Here’s another one. 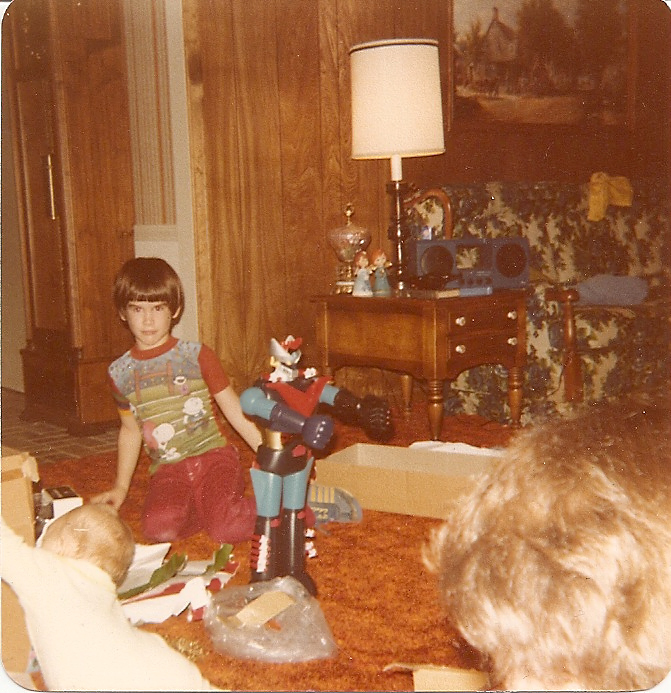 Christmas, 1976. Look at him go! 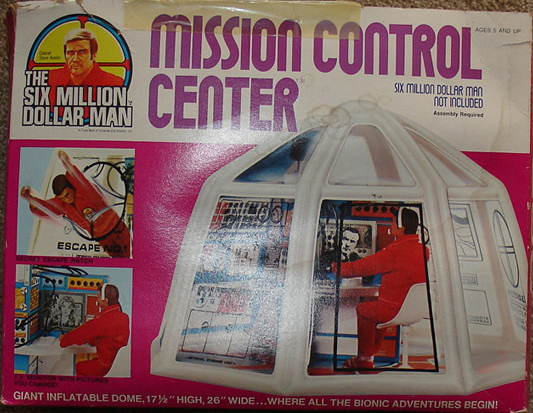 Toys seen here include the incredible Star Trek Mission to Gamma VI playset and a Star Trek Tricorder; The Six Million Dollar Man Mission Control Center and Bionic Transport and Repair Station; the Earthquake Tower (“World’s tallest playset!”); and—wait for it—the Space: 1999 Eagle 1. See all the videos on Mikey’s YouTube channel, and read about Mikey’s memories of those mornings on his blog. 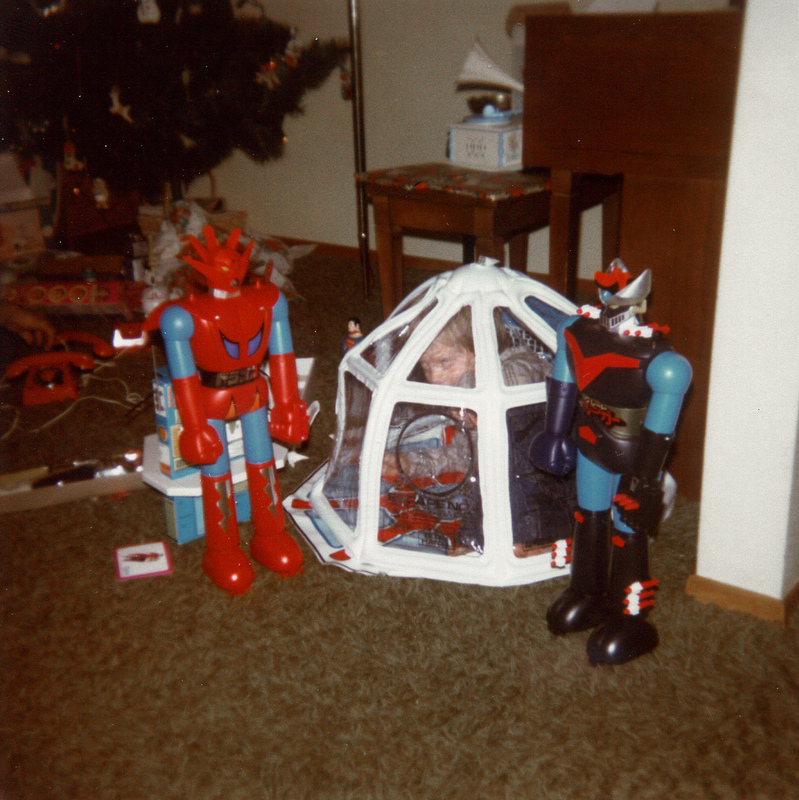 There was a time when our biggest worry was which amazing present to open first. Here it is, in living color. 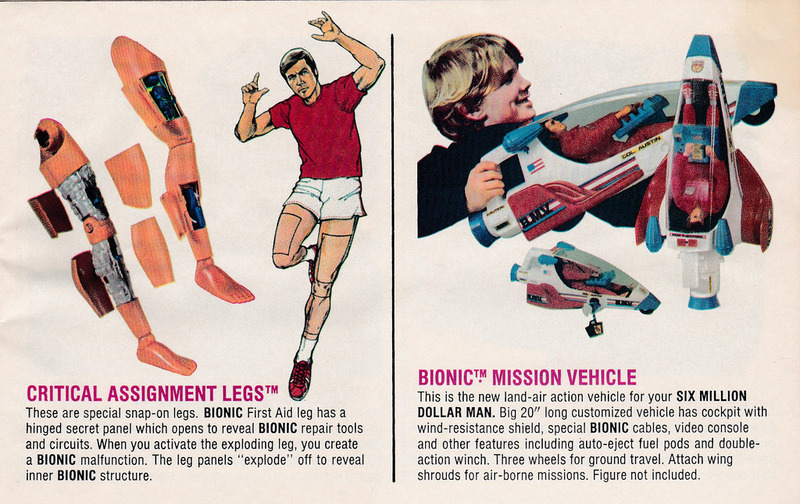 Let’s kick off the Christmas season with some giant, exceedingly dangerous robot toys, shall we? John Reese—snug in his Snoopy shirt, maroon cords, and Adidas casuals—is showing off Great Mazinga. Lots of orange shag carpeting. Lots of wood. Bucolic painting hanging over the floral print couch. Possibly an urn filled with somebody’s ashes next to the lamp. On the left is Pat, who got the Shogun that launches a big plastic fist. 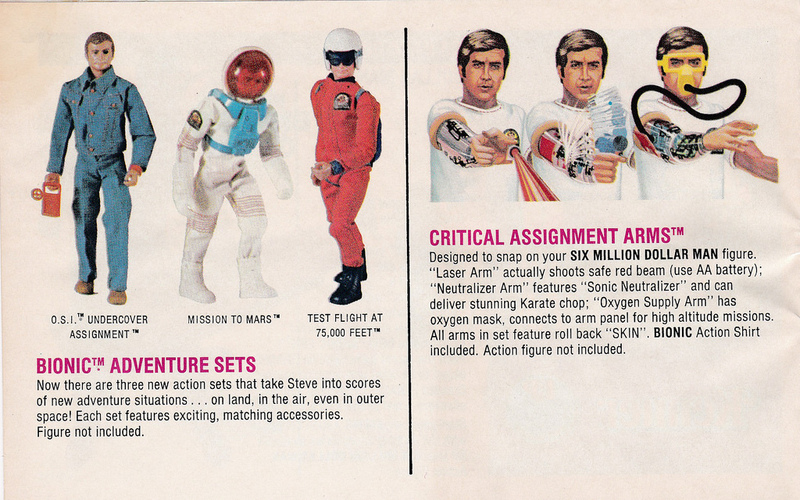 I got the one that shoots missiles out of his hand. When I say ‘missiles’, I’m not talking about a blinky light, or a sound effect, or a bit of missile-shaped foam. I’m talking about real, pointy bits of plastic that can be aimed at the eyeballs of children for fun and excitement. Good times. Speaking of missiles, one of them appears to be missing. Better check the dog! Here Dragun and Mazinga guard Darren Bryant, who’s captaining the forces of good from his inflatable Six Million Dollar Man Mission Control Center. In the background, Commissioner Gordon reaches for the Batphone. Check out a 1976 – 1978 Shogun Warriors commercial here. I’ve got a couple of pretty incredible Christmas morning submissions already. Feel free to send yours to 2warpstoneptune@gmail.com. 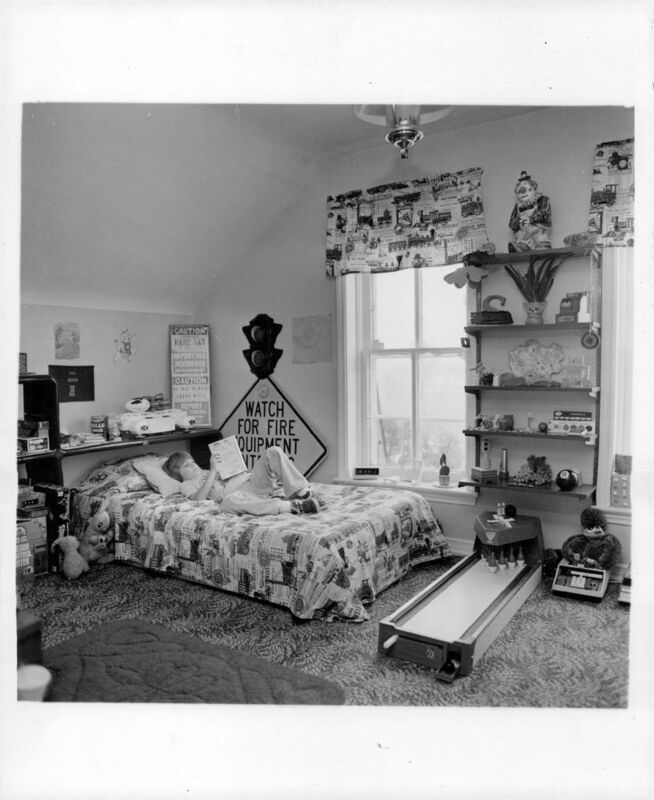 First of all, that’s the Eagle 1 on the shelf behind the bed. Second, what’s up with the bowling game? I’ve never seen one quite like it, and it looks pretty lame. Trade it in for an air hockey table, kid. 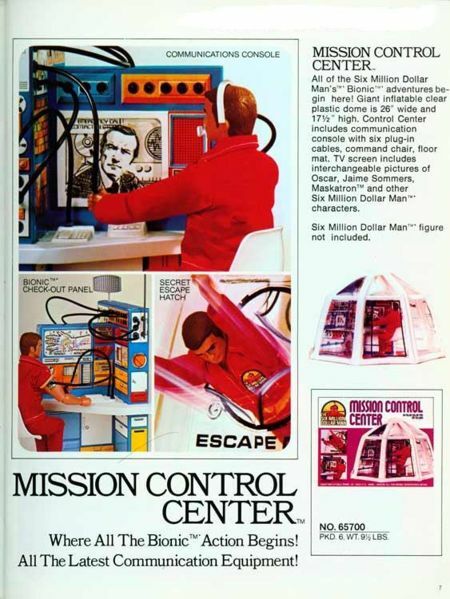 Third, scan far left, click image to enlarge, and you can make out the Mission Control Center from The Six Million Dollar Man toy line, seen below via Toys You Had. I can’t tell what the boxes to the right of the Command Center are.